Dispatch Games, a new publisher based out of California announced today that they will be bringing Soldam to North America. It looks like the game is potentially an import of Soldam 2: Blooming Declaration which is available on the Japanese Switch eShop. The art seems to match up so if you’d like to see some gameplay, check out the video below. Just remember that it’s what we assume the game is. 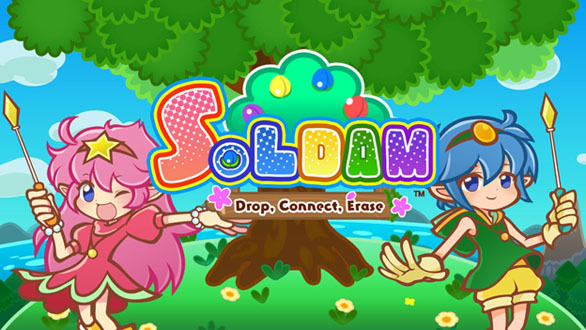 Players rotate and drop the Soldam fruits to match colors. Keep connecting the same colored Soldam to form an entire row and erase. Use flanking methods to change the colors of previously dropped Soldam to your advantage. Strategize your next move and maximize that score. Looks interesting! Like if Othello and Puyo Puyo had a baby. The game will be available at E3 and is coming to the Nintendo Switch eShop this Fall!